Usain Bolt Vs. Lionel Messi, Who's Faster? 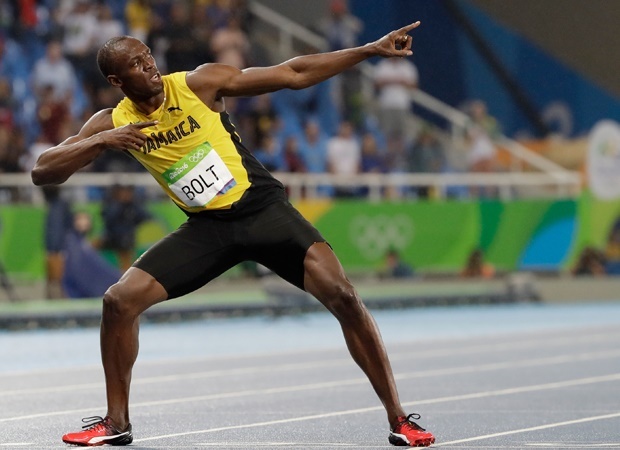 The Jamaican wants to merge the greatest sprinter with the world's best footballer in a mega race. They rule their respective sports but they have never crossed each other's path. That situation may however change following the subtle challenge thrown by World Athletics legend, Usain Bolt to football superstar, Lionel Messi. Bolt a nine-time Olympic Champion is set to hang up his running spikes at the World Championships in London this summer. But before quitting the big stage, the Jamaican wants to merge the greatest sprinter with the world's best footballer in a mega race. Bolt admits that he would like to take on Messi - who according to FIFA can reach speeds of 21.1mph, in comparison to the sprinter's best of 27.8mph. He said: "I always like to try new things and Messi is one of the greatest footballers to ever grace the face of this earth. "It would be an honour [to race him] because I have never met Messi."